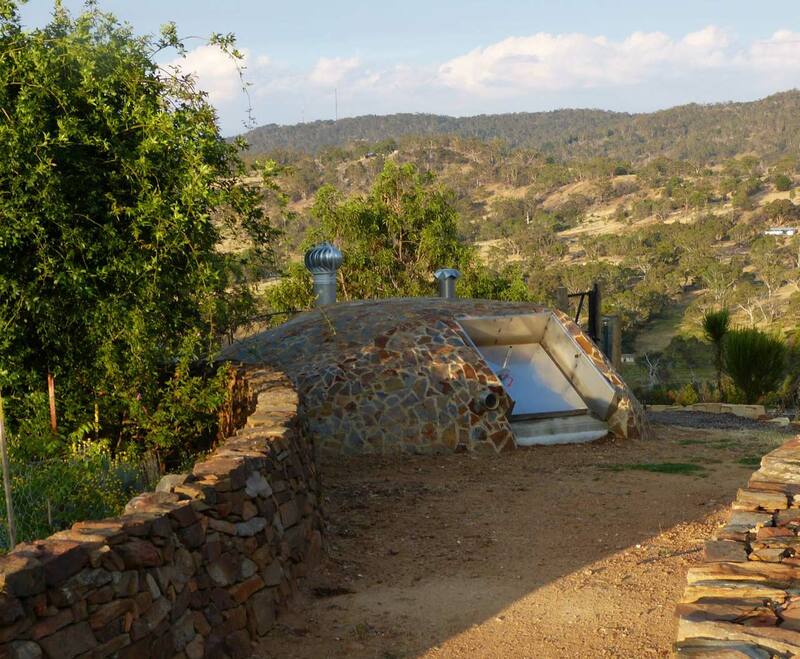 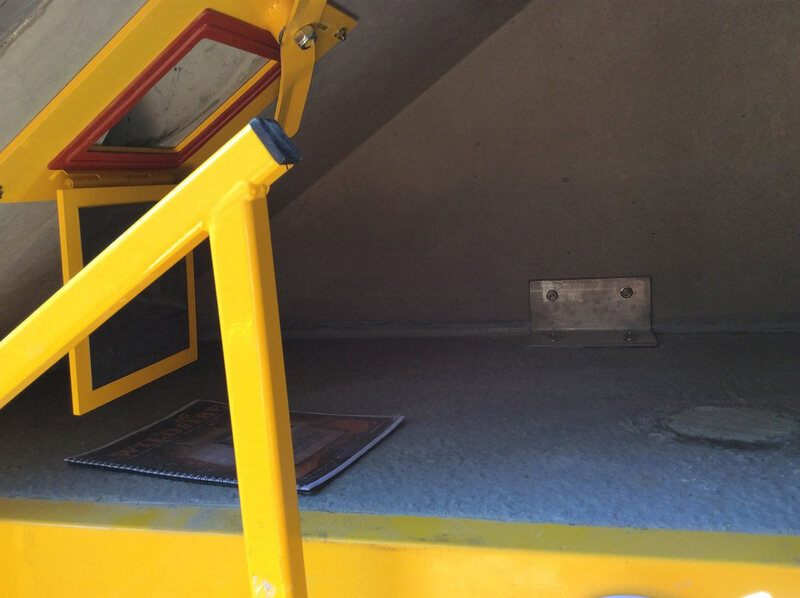 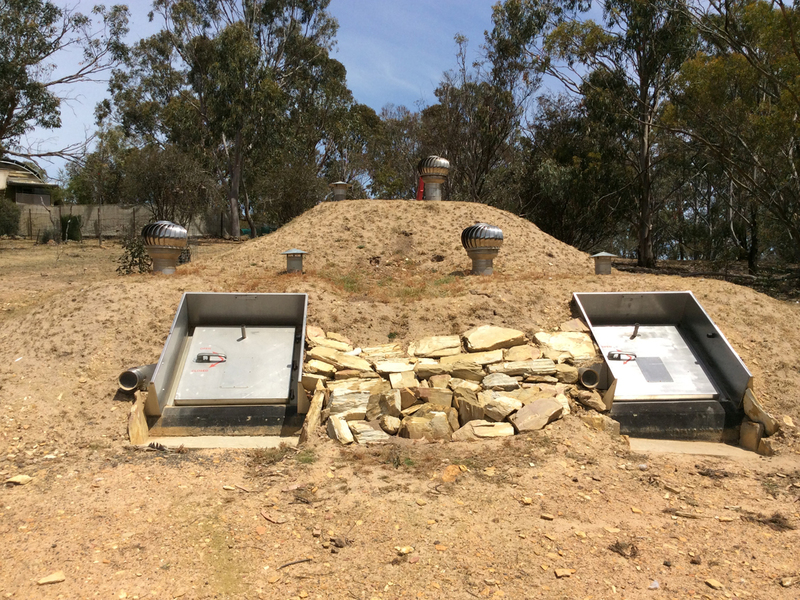 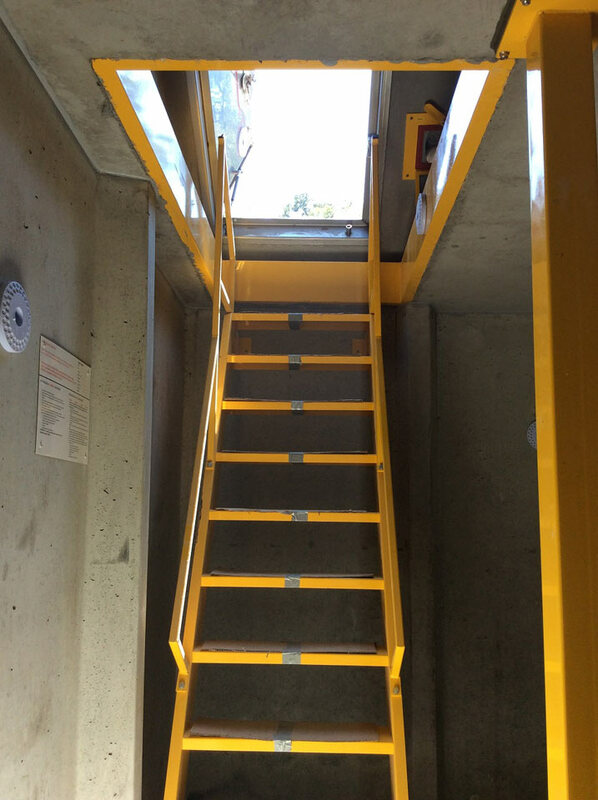 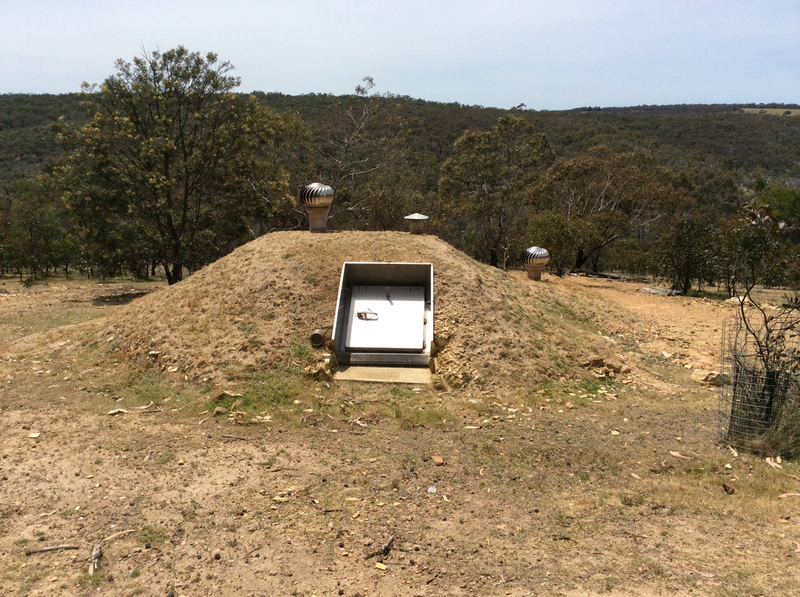 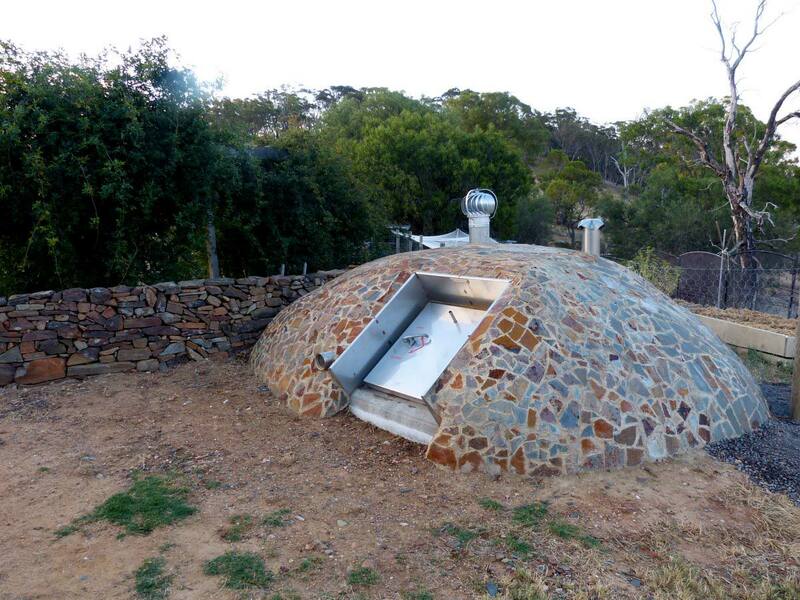 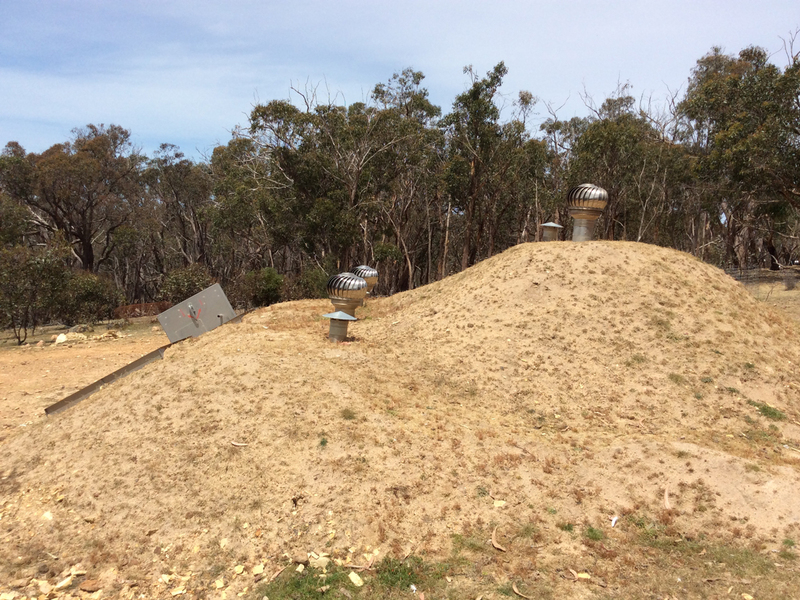 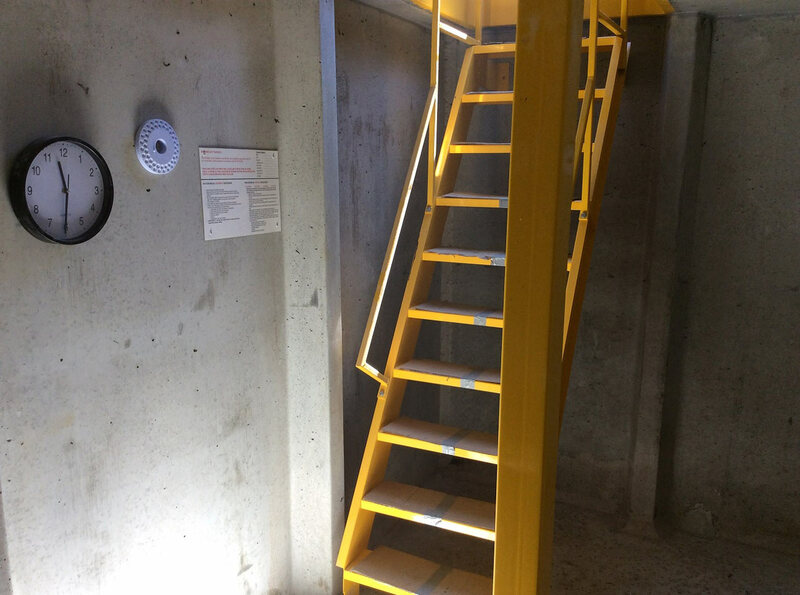 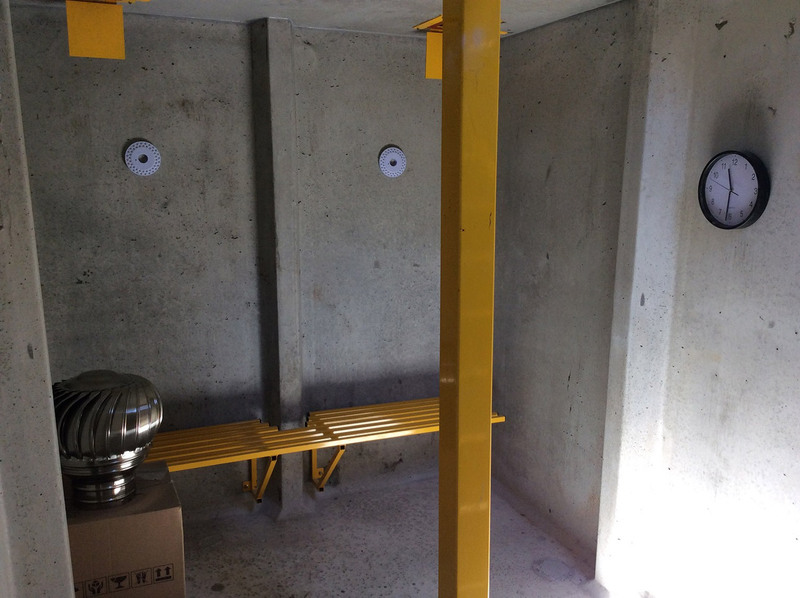 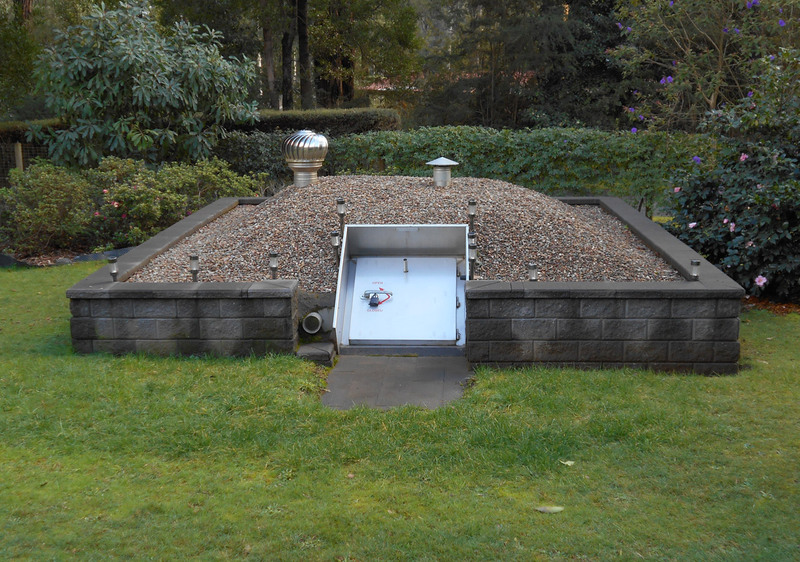 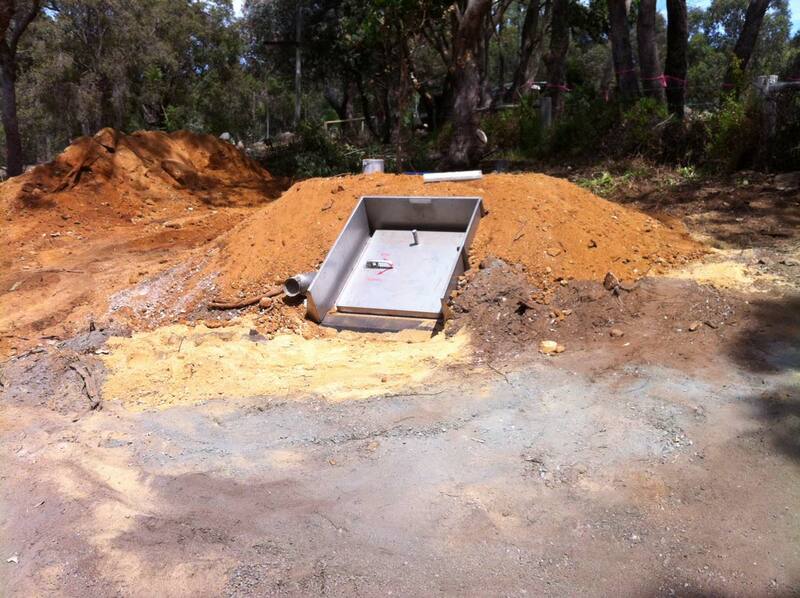 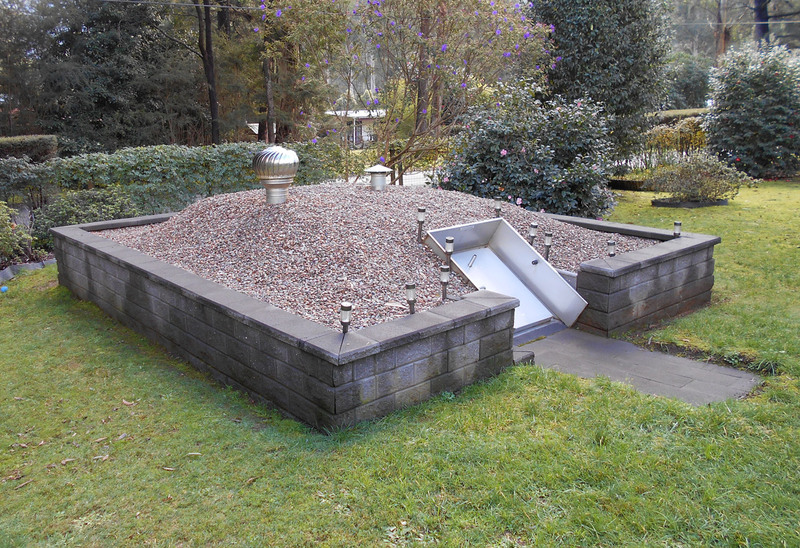 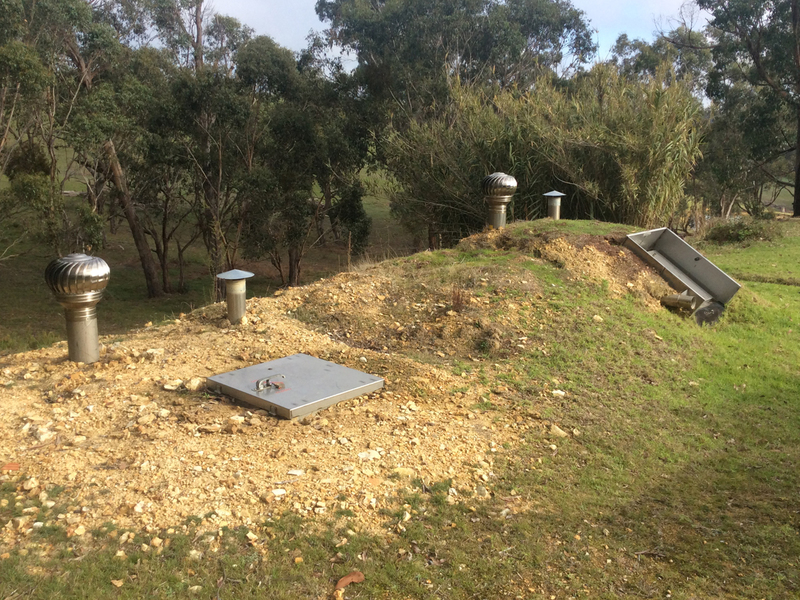 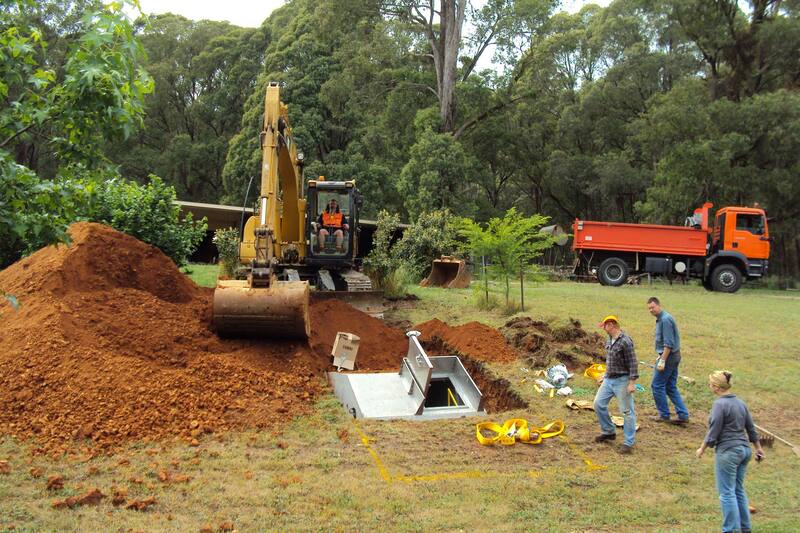 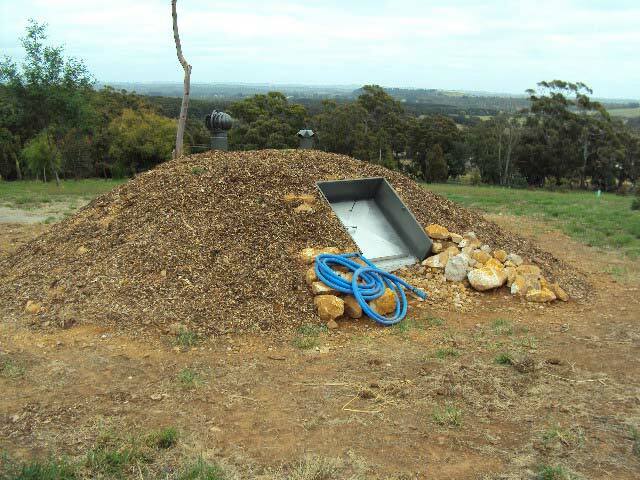 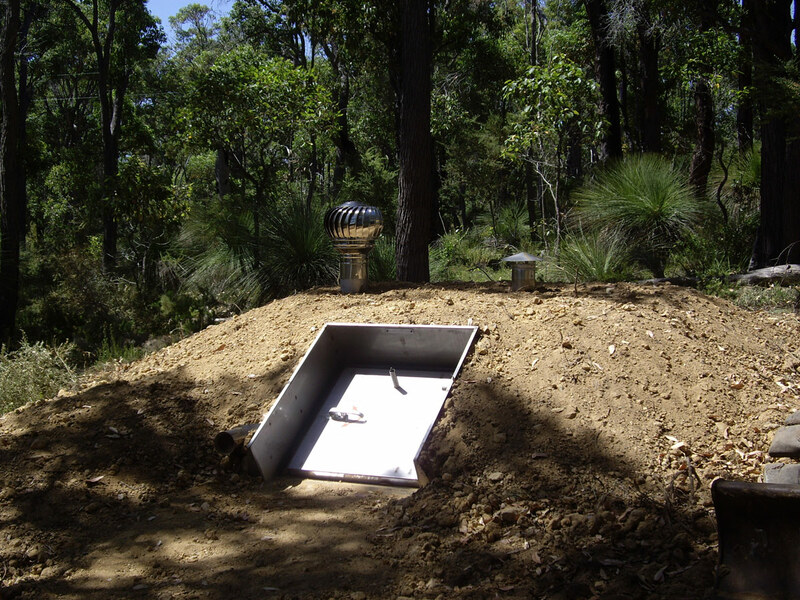 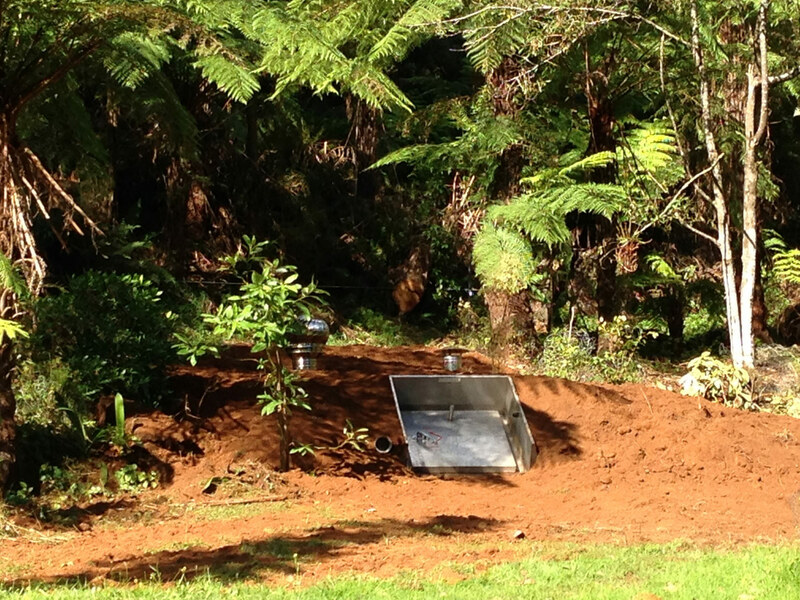 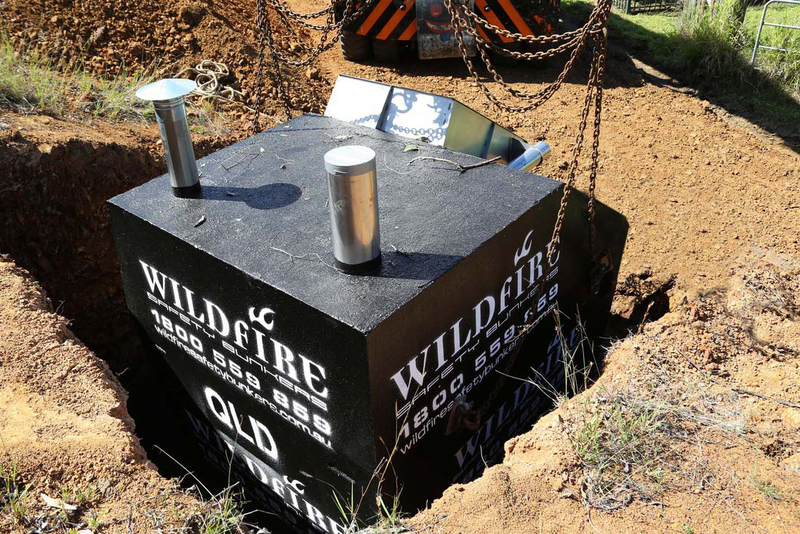 See the below galleries showcasing some of Wildfire Safety Bunkers work. 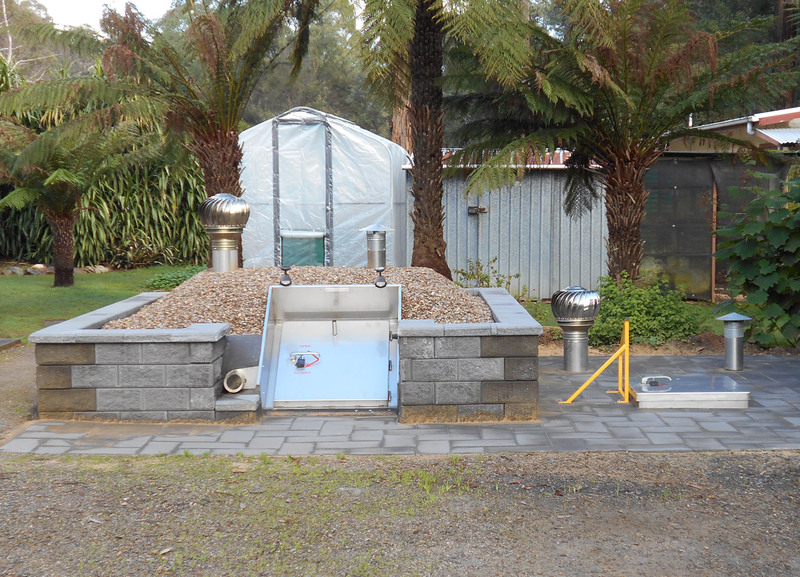 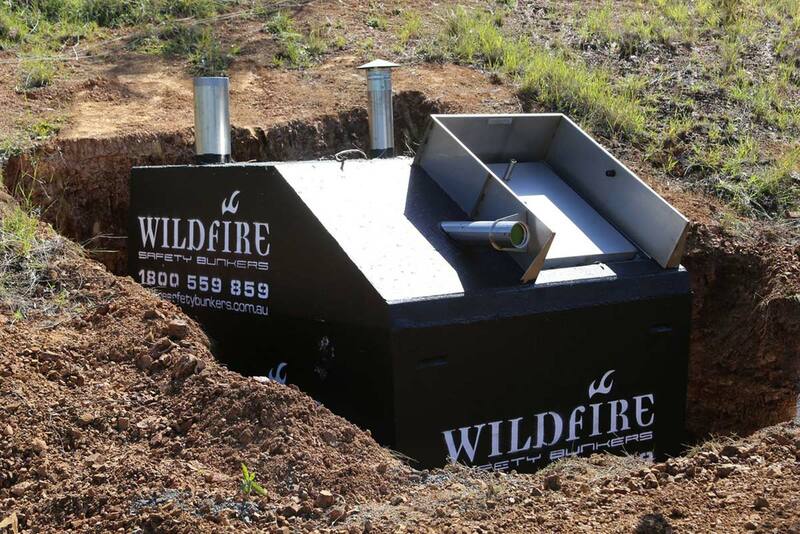 All Wildfire units are installed as per our siting guidelines, whether its one unit or multiples, our units can be installed in various locations, from flat ground to earth embankments the units can be easily landscaped into the surrounding environment. 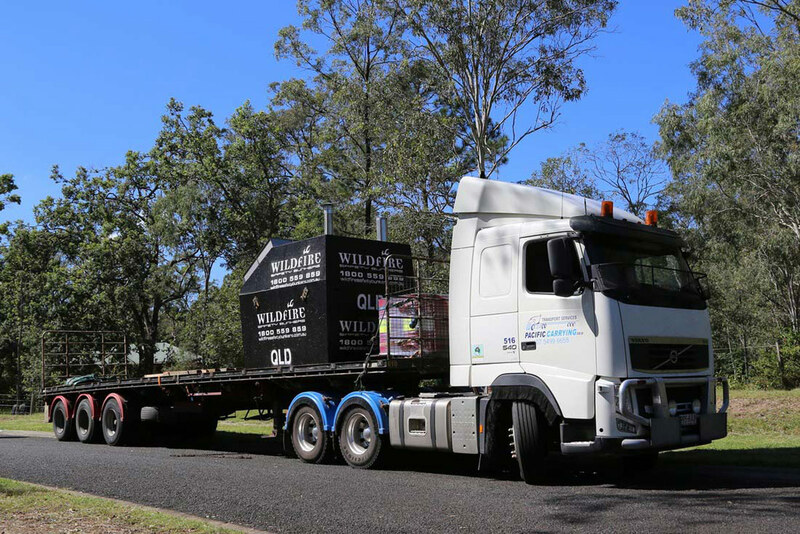 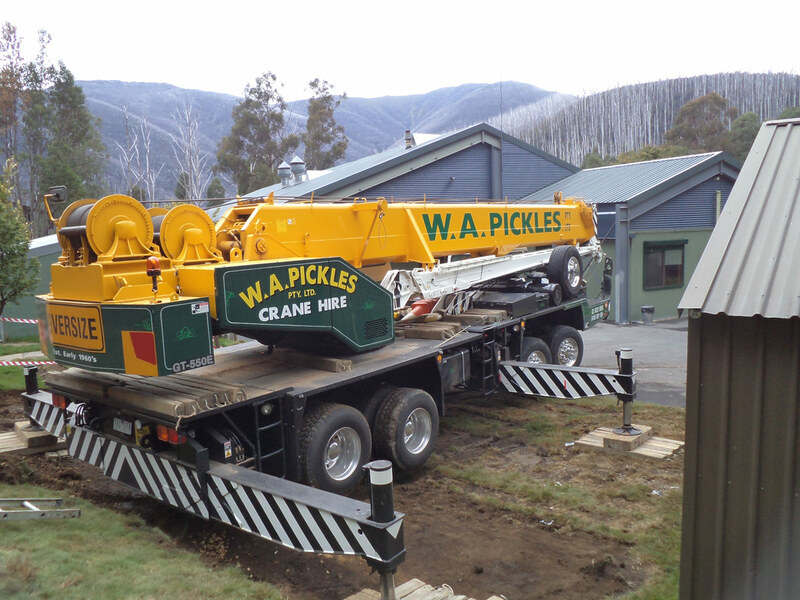 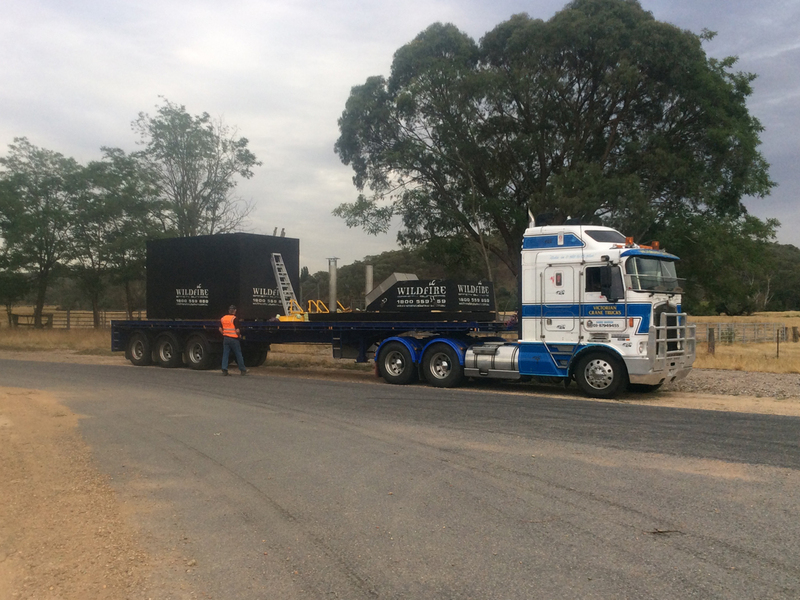 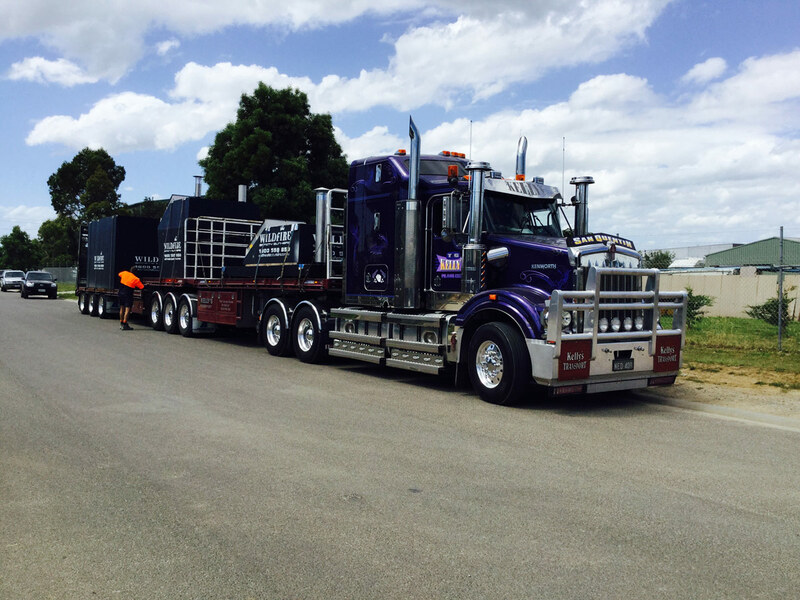 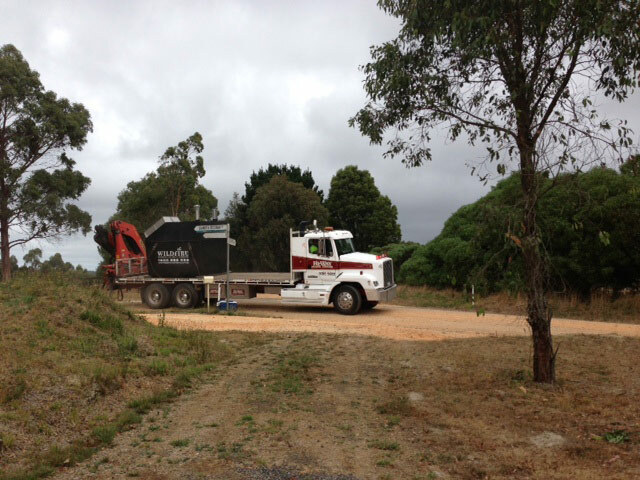 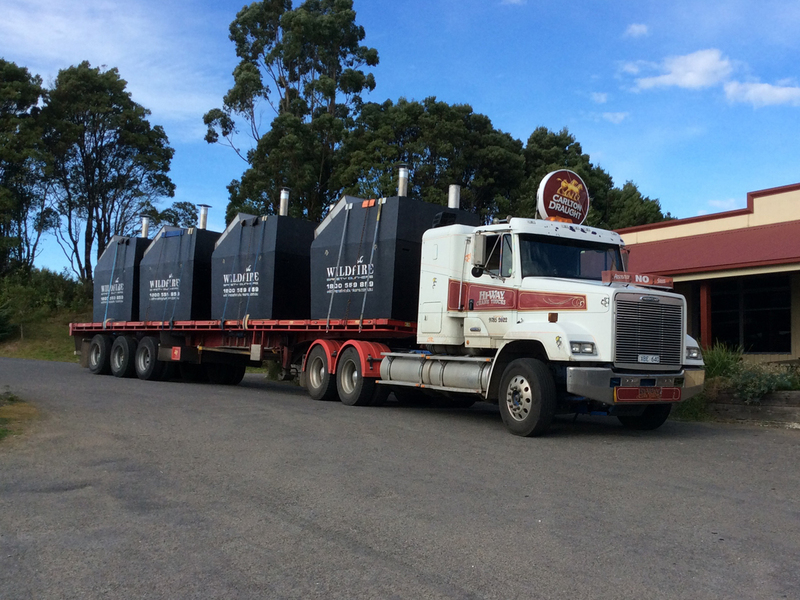 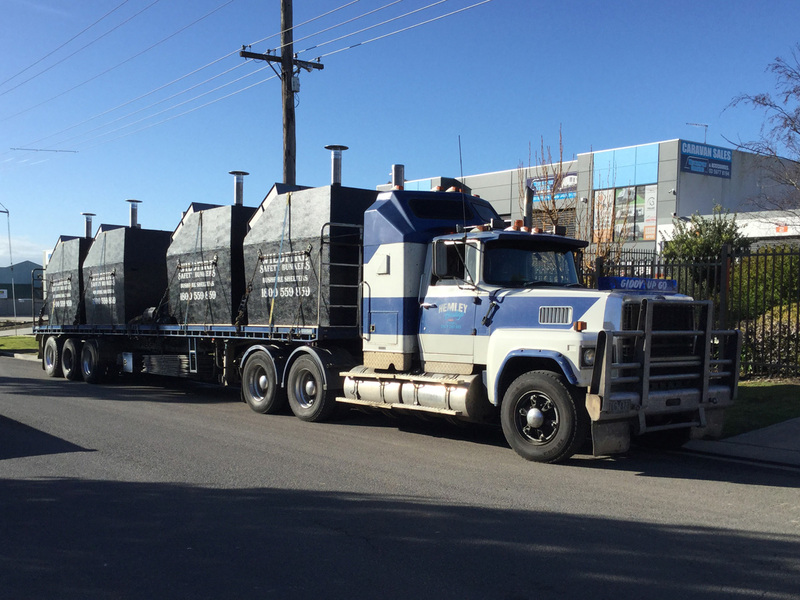 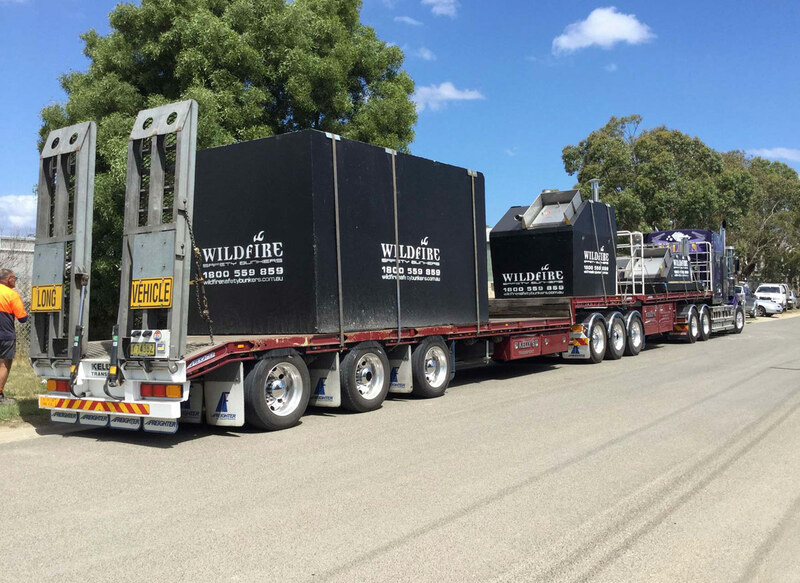 Wildfire uses various means of transport to move our units around Australia, all interstate delivery's are done using large prime movers and trailers, locally our preferred method is by crane truck. 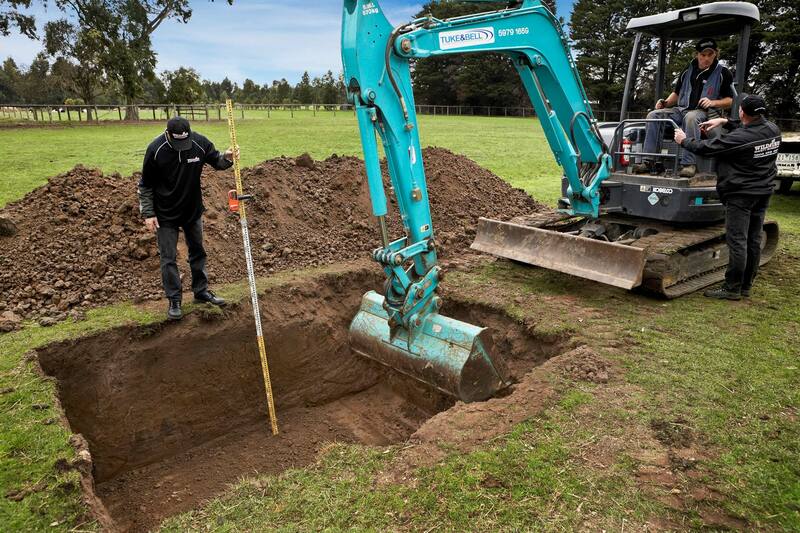 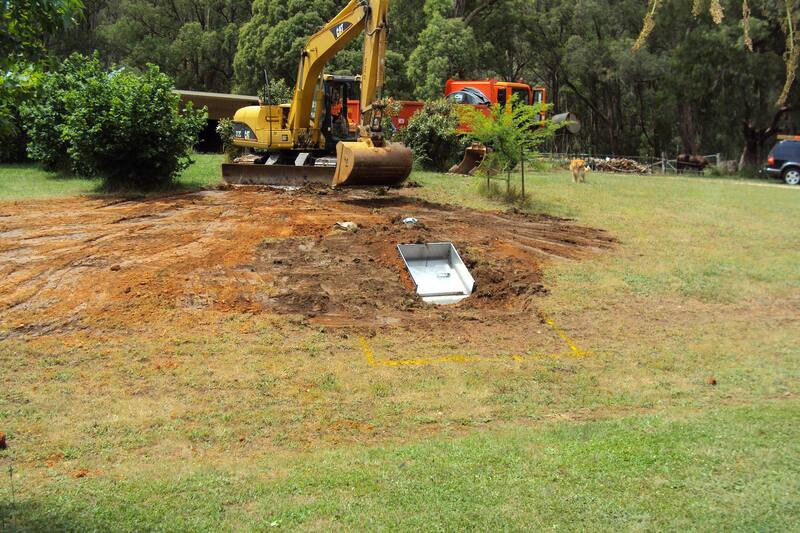 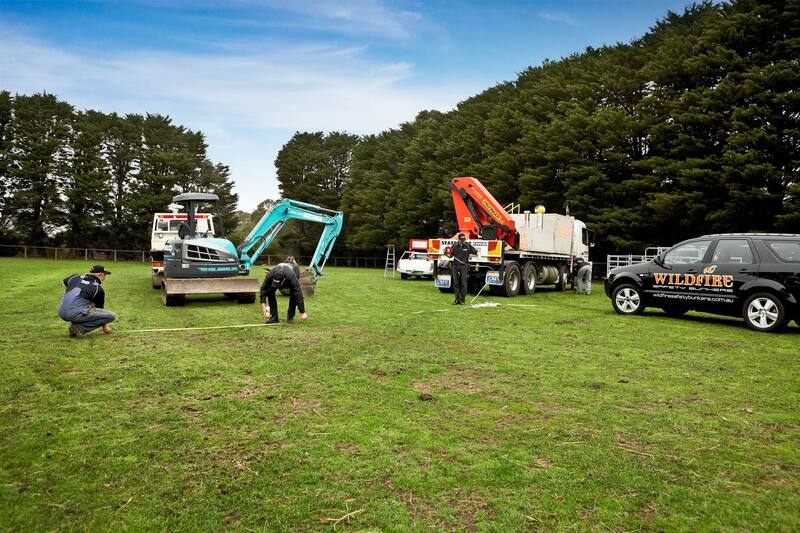 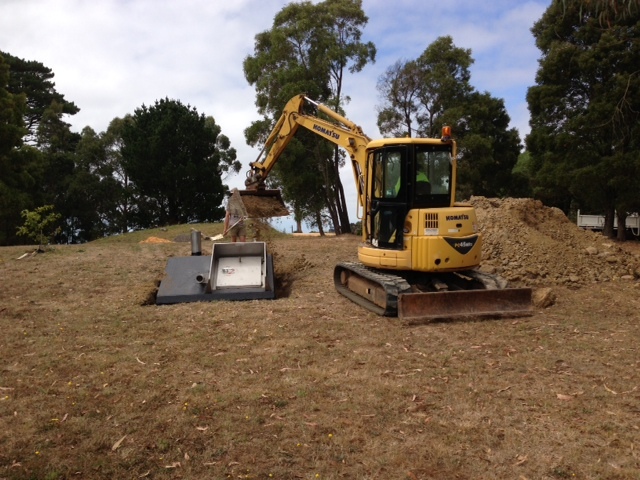 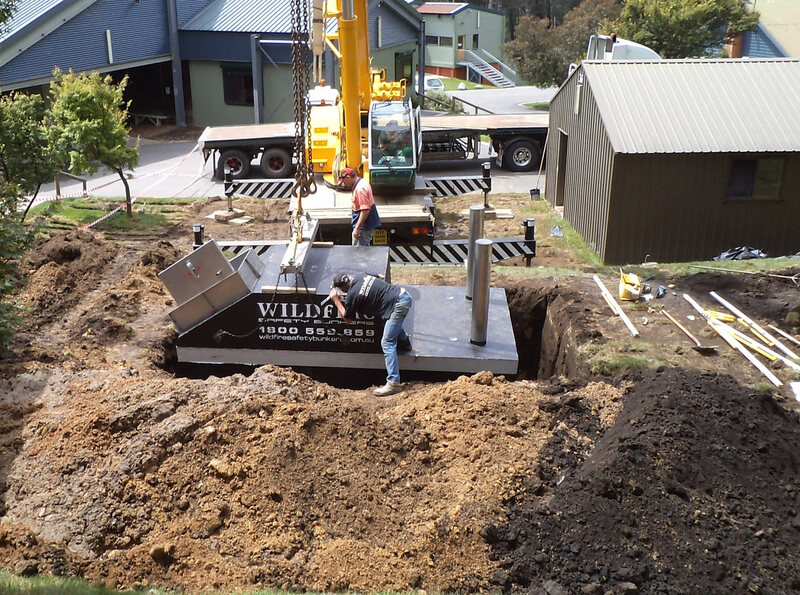 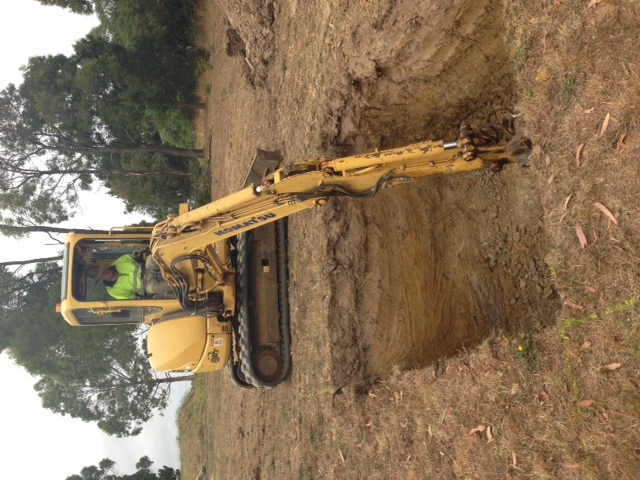 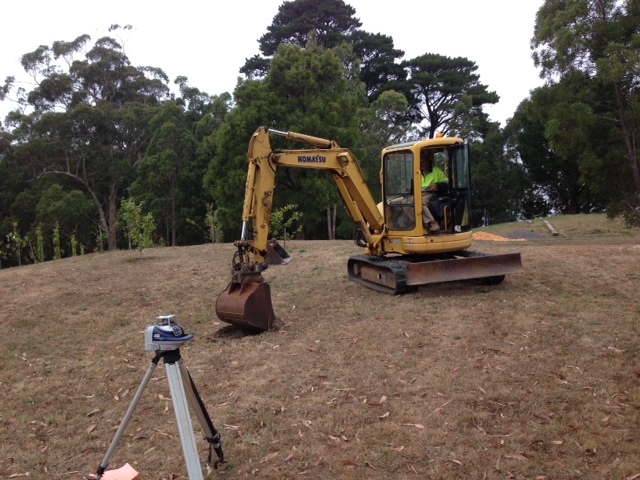 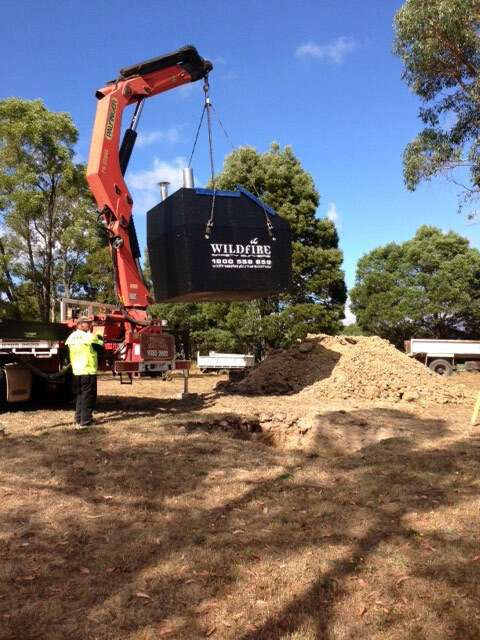 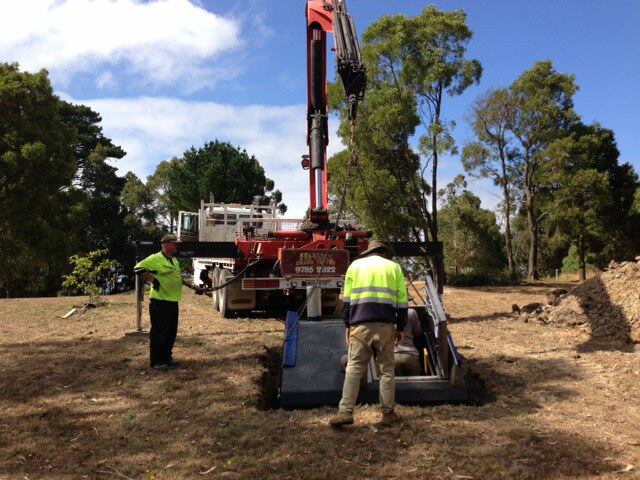 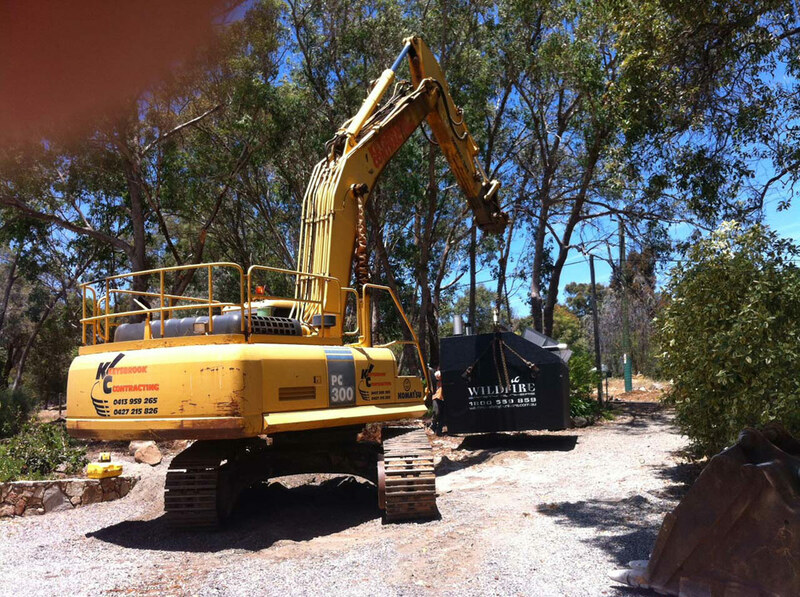 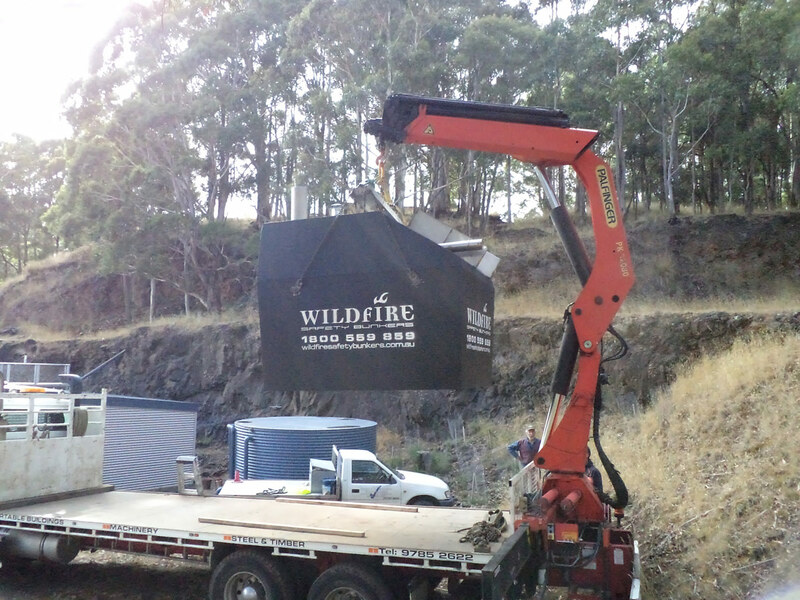 Wildfire have installation contractors all over Australia, from small two tonne excavators through to large 30 tonne machines, all fitted with rock breaking equipment, home owners can also choose to excavate themselves. 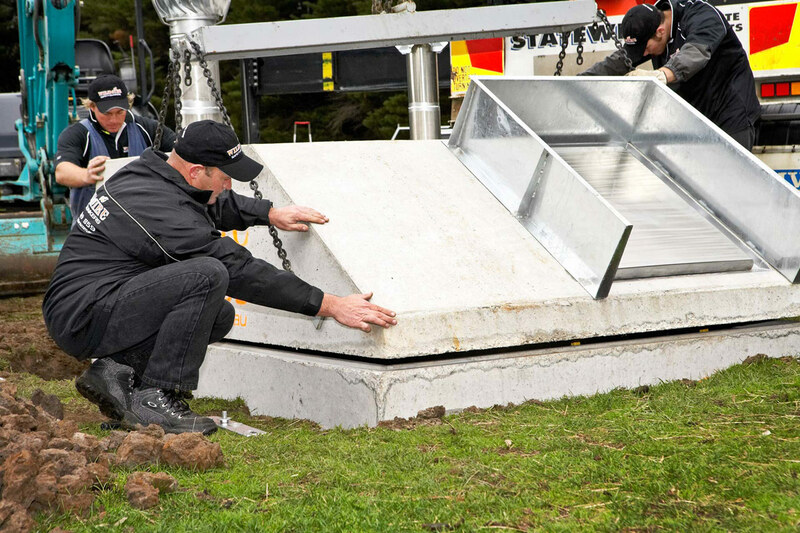 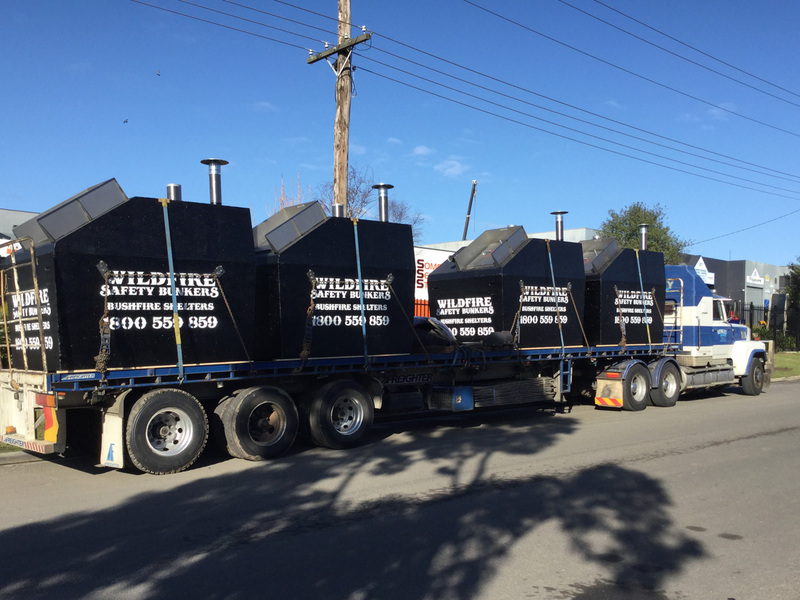 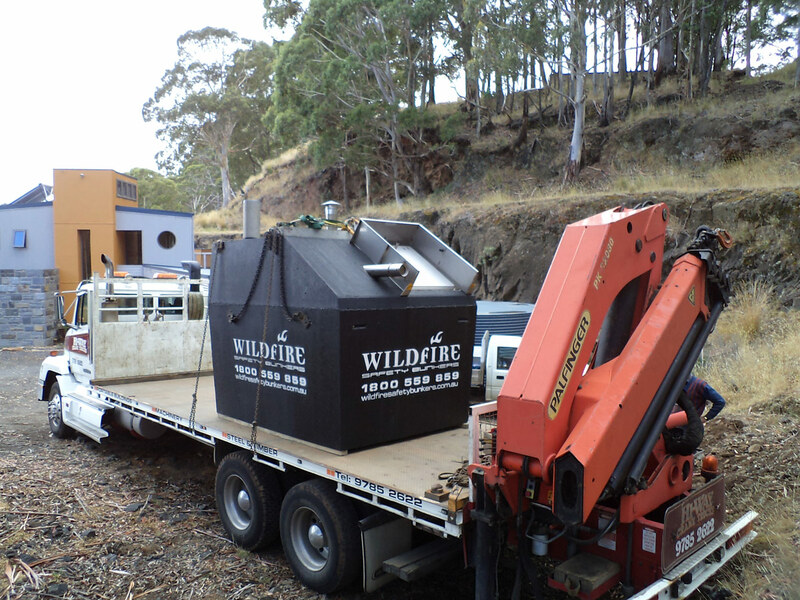 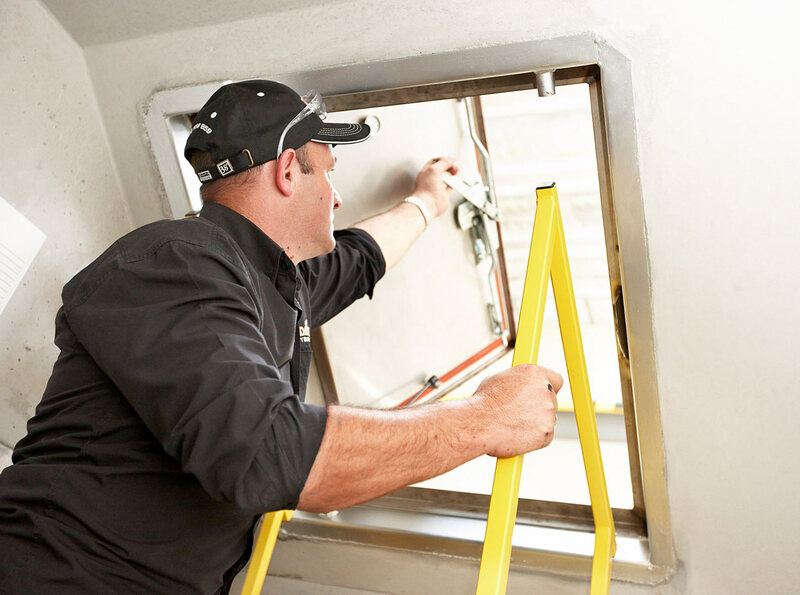 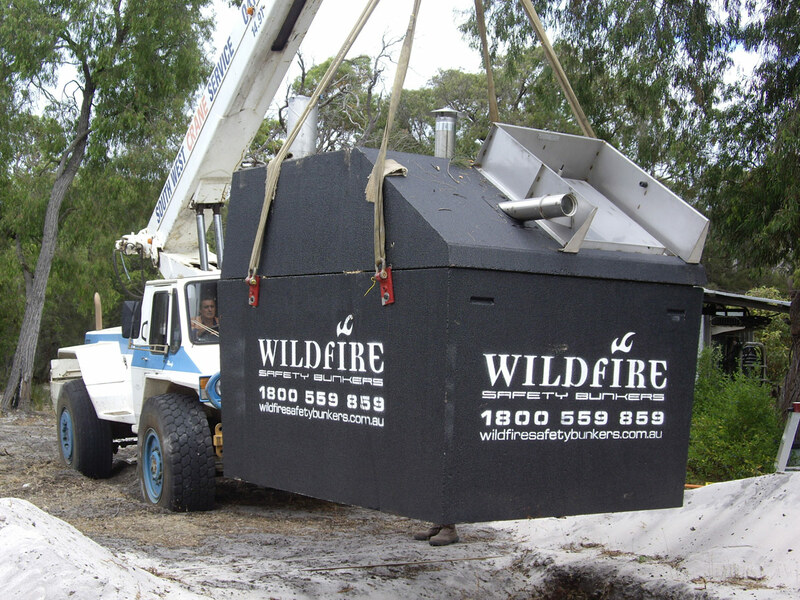 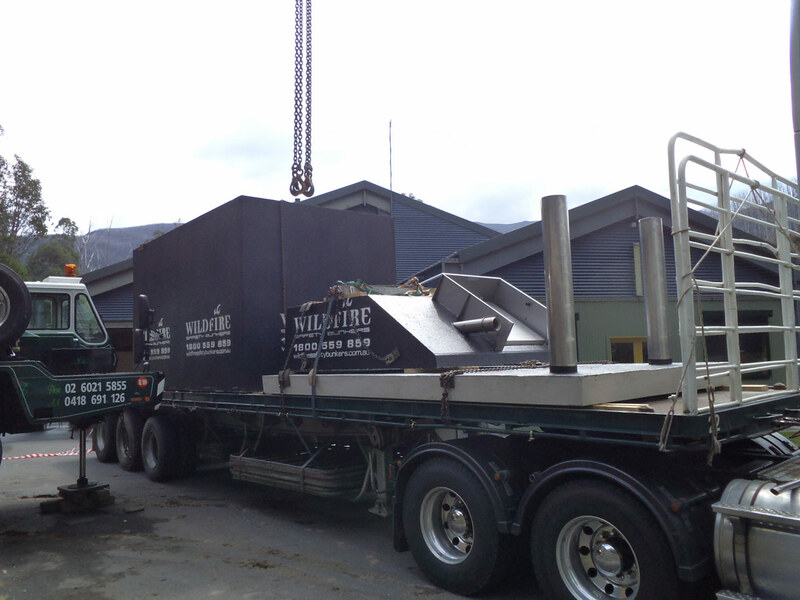 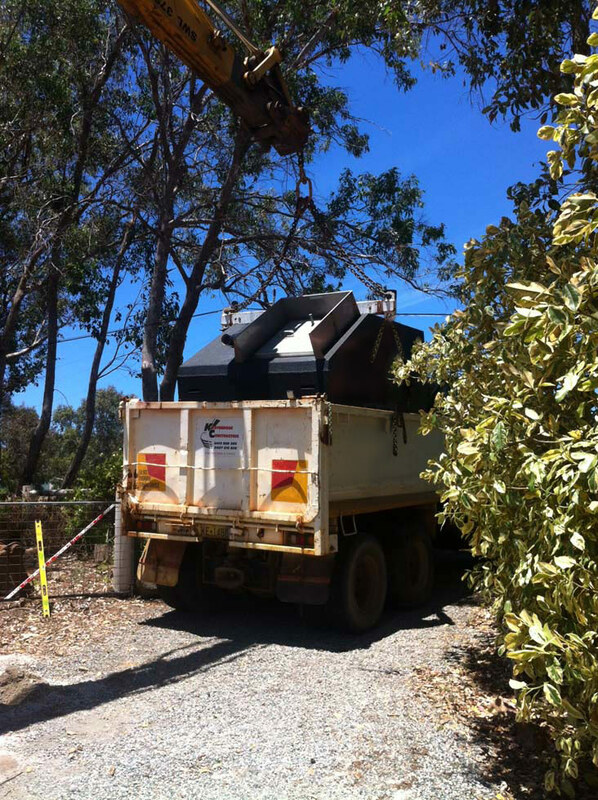 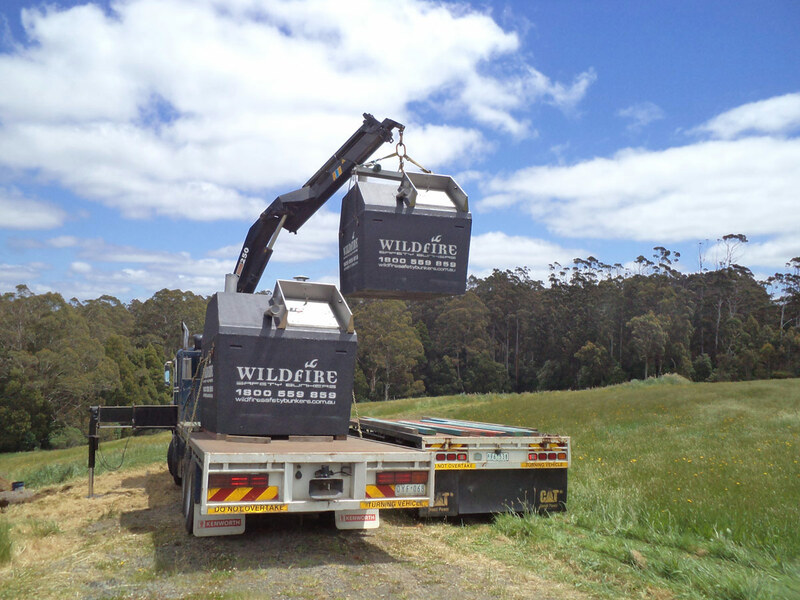 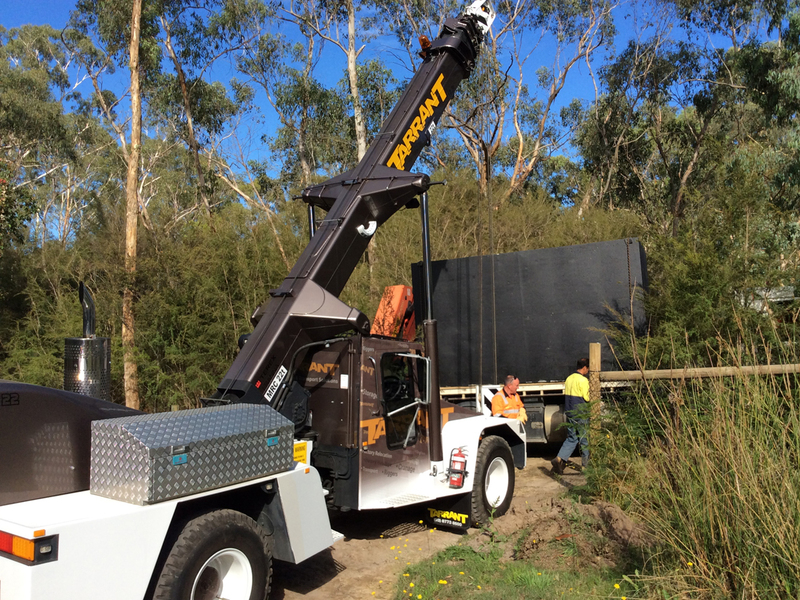 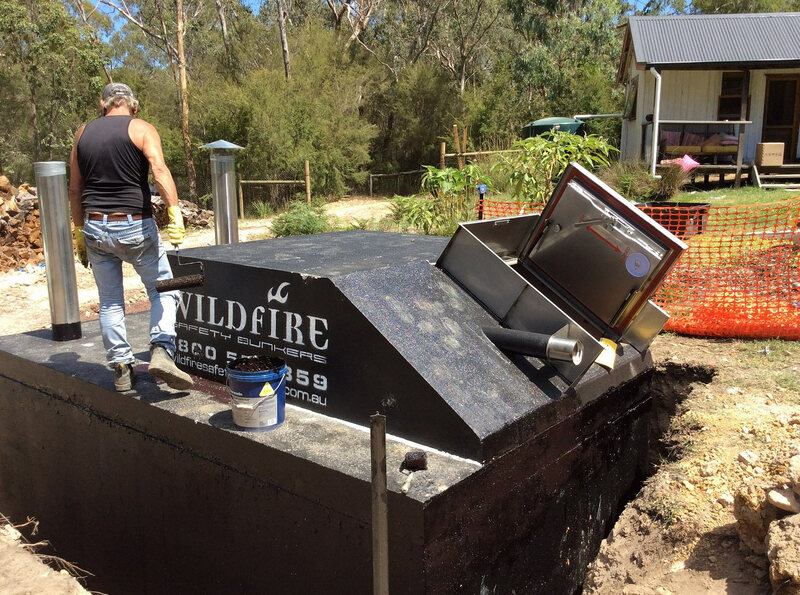 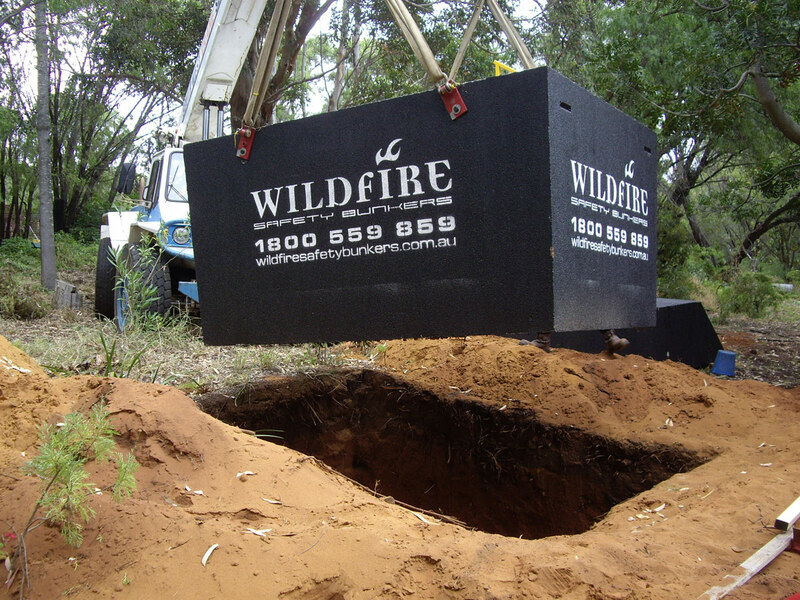 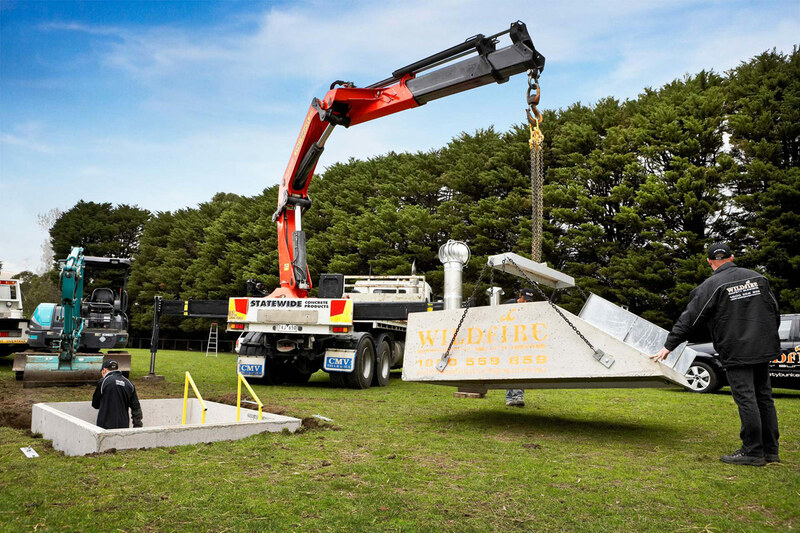 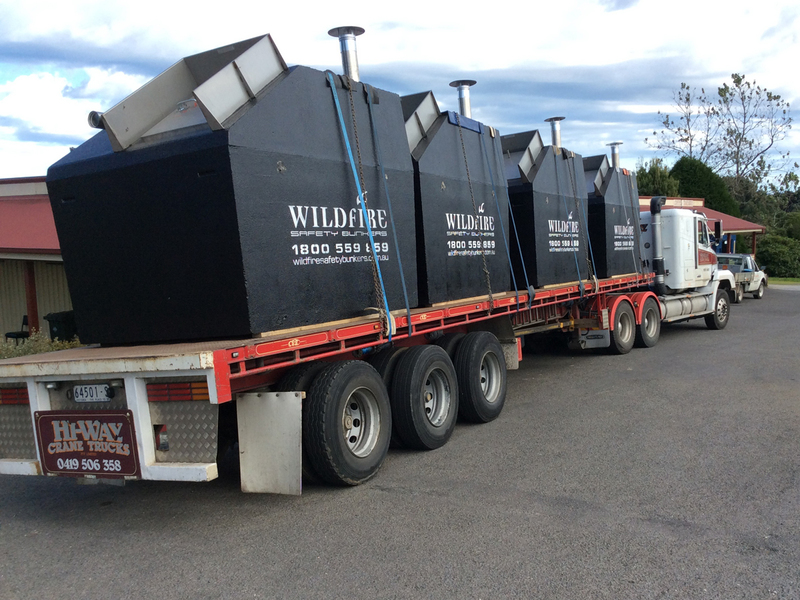 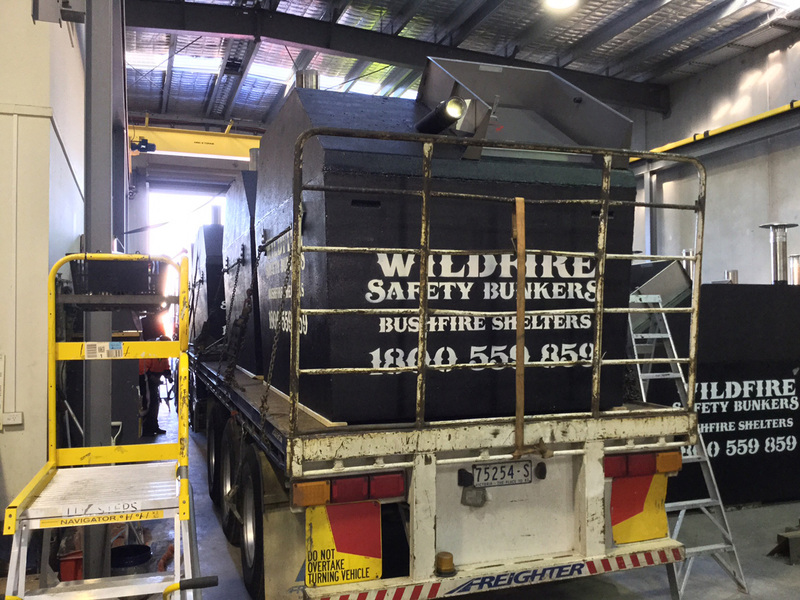 Wildfire have contractors based in most larger towns around Australia, from 20 tonne Franna cranes through to 150 tonne slew cranes, we can find the most economical unit to safely install your bushfire shelter. 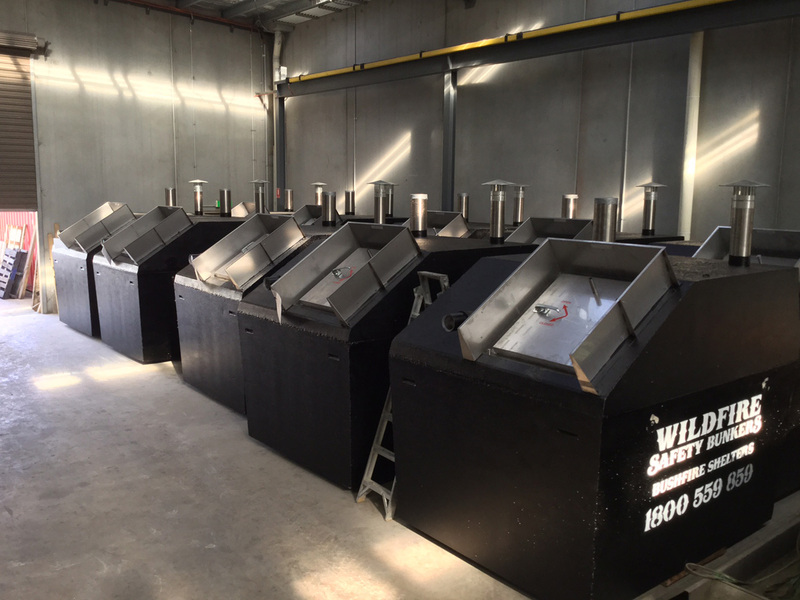 If you need more room to cater for larger groups or to store valued possessions then the twelve person unit could be what you are looking for, another option to consider is the installation of two six person units side by side. 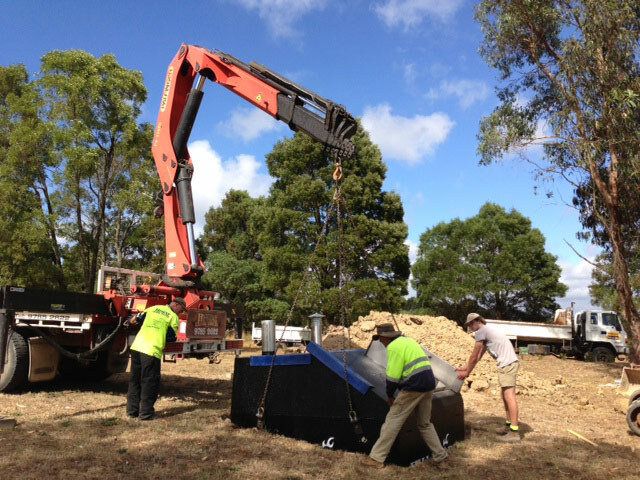 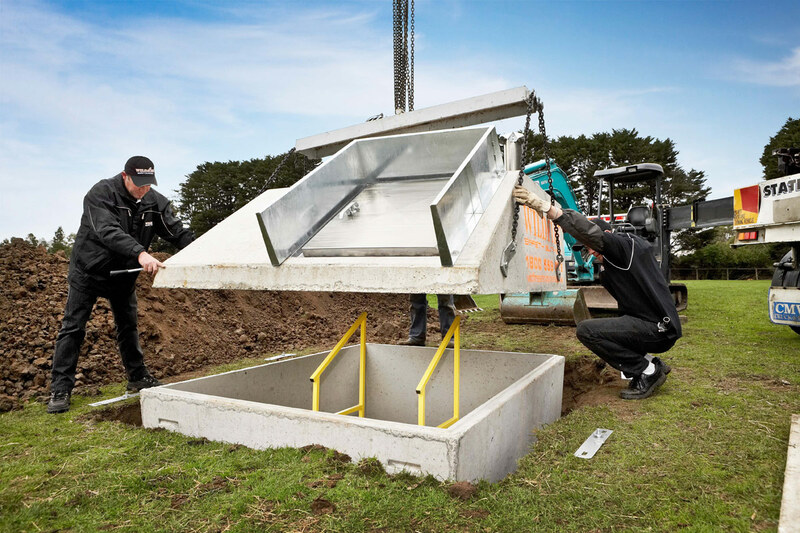 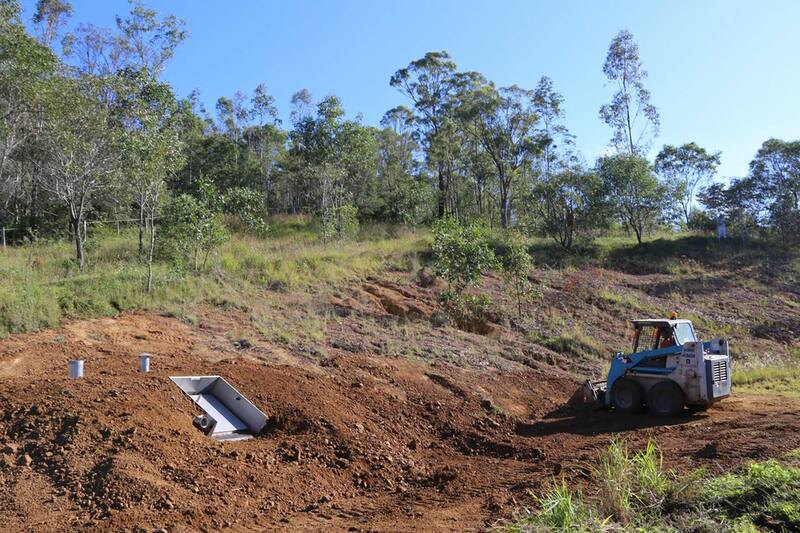 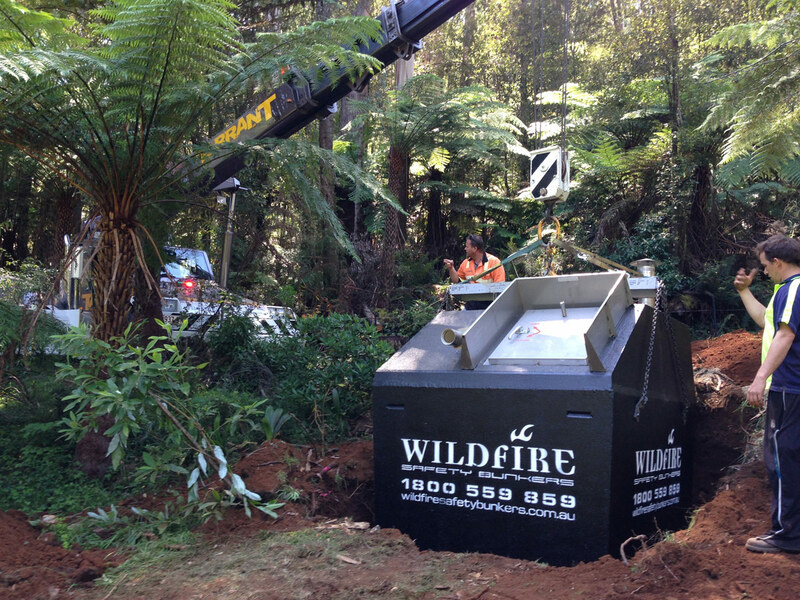 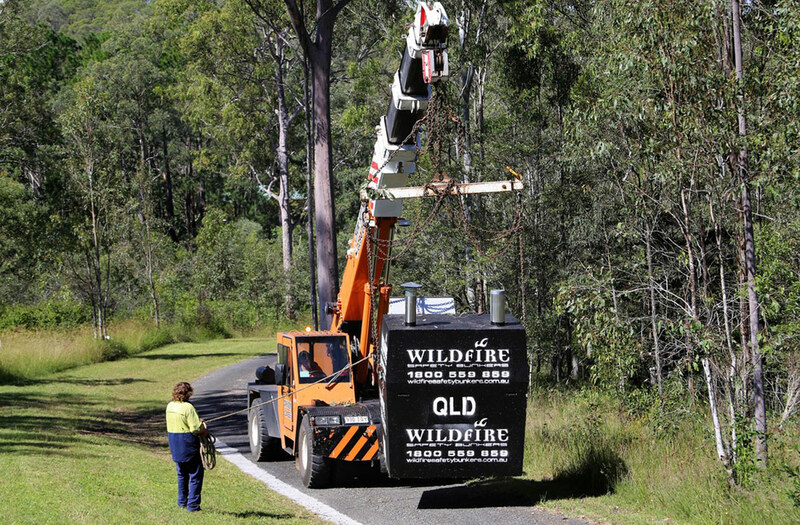 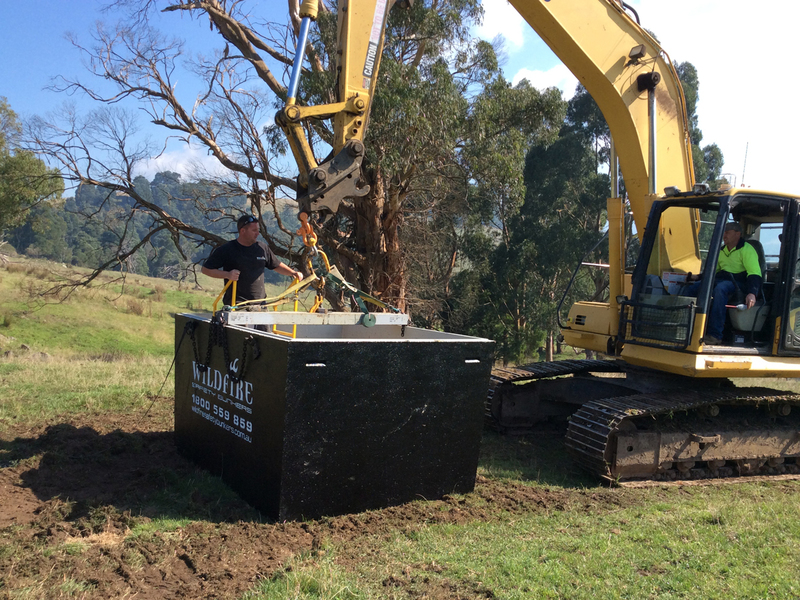 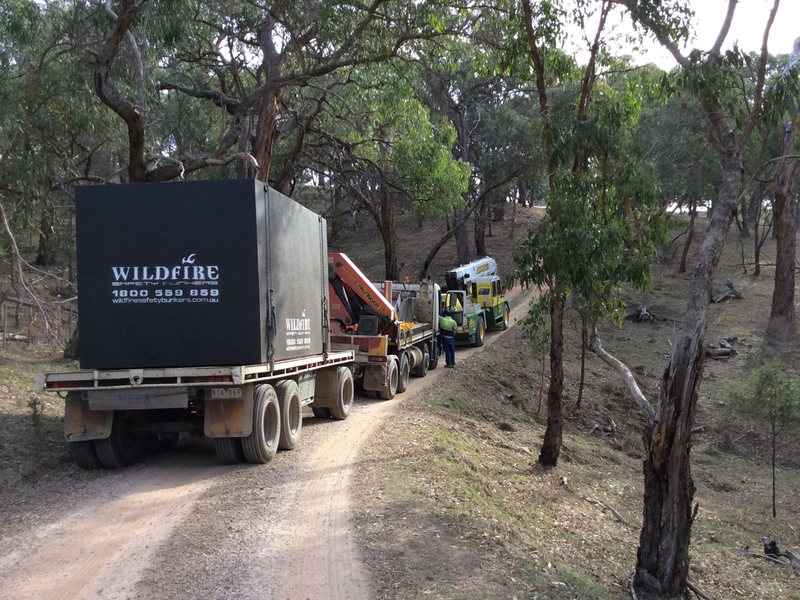 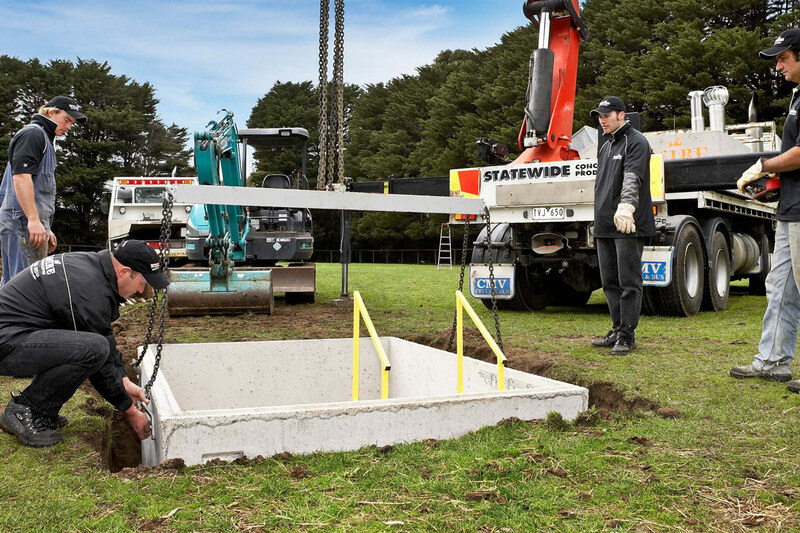 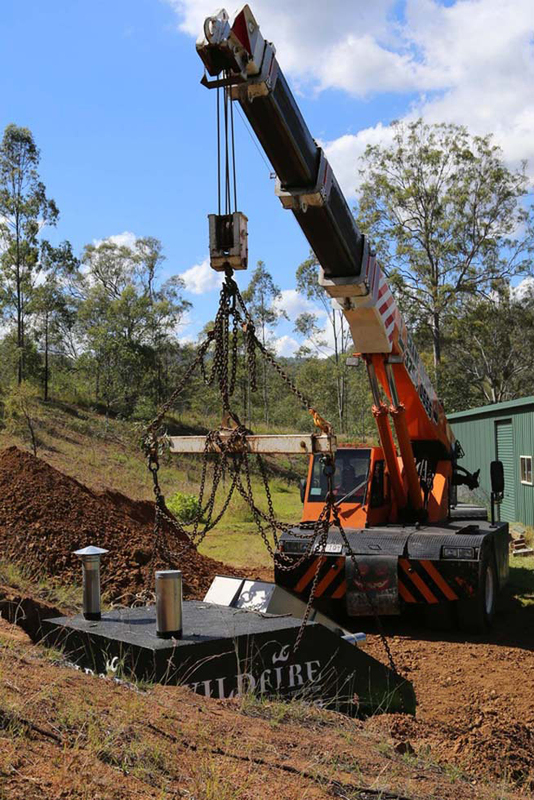 If access or steep terrain is an issue the Wildfire units can be carried in by excavator and installed in two sections, they are then joined and sealed by our qualified installers on site.